The JDBC (Java Database connectivity) is one of the important API in Java programming language which allows a Java program to connect to any database e.g. Oracle, Microsoft SQL Server, MySQL, PostgreSQL or any other. It's very importnat API to learn and master for both core Java and Java EE professional given ubiquitous nature of Database in real world application. Despite its importance, many Java developer lack essential JDBC skills e.g. they are not familiar with Connection, Statement, connection pool, calling stored procedures and executing transaction in JDBC. One reason for that is very limited or coverage of JDBC essentials in front line Java books e.g. Head First Java 2nd Edition. That's why I have come up with this article to share some of the best books to learn fundamentals and advanced JDBC concepts. Since JDBC API is also keep changing with newer version coming up now on couple of years. For example JDBC 4.0 released with Java 6 and JDBC 4.1 released with Java 8, it's important for Java developer to learn and adopt new features introduced in these JDBC releases. I have been sharing a lot of books and courses for Java programmers in this blog and if you are new here you can also search for them in the search box at the top right corner of this page. You will find books and courses on Java, Spring, Hibernate, Docker, Jenkins, Eclipse, and many more essential Java technologies. Unfortunatley, there are not many books in the market to learn JDBC in depth. Most of the frontline Java books only cover basic stuff. 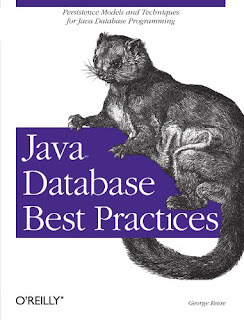 The books which are available are mostly out-of-date, but some of them can still be useful if they cover fundamentals, for example the book I have included in this list about JDBC best practices. 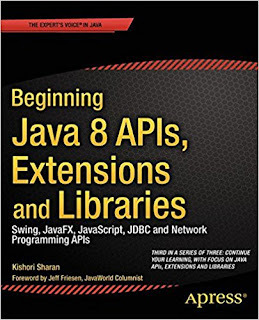 I have included 5 books in this list but the first one is the most important becuase it's both up-to-date and covers Java 8. Though, it's not exclusive to JDBC and covers other essential API extensions e.g. Swing, JavaFX, and Network Programming it's still the best book to learn JDBC at this moment. Anyway, without any further ado, here is my list of some of the best books to learn JDBC for Java programmers. It also discusses how to use the RowSetFactory, to obtain a RowSet object of a specific type. Working with Large Objects (LOBs), such as Blob, Clob, and NClob, is also covered in detail with Java code examples and database scripts. In short, one of the most up-to-date and best book to learn JDBC in Java 8. This is one of the recent book on JDBC which covers until Java EE 5 release. If you like the problem solution approach of recipies book then its a great book to learn JDBC with MySQL and Oracle database. It teaches you basics of how JDBC works, including different types of driver and then exploring new features of JDBC from recent releases. You will learn how to connect to database, execute SQL query, retrieve results, using PreparedStatement, reading and writing BLOB and CLOB, dealing with DATE, TIME and TIMESTAMP and several other important JDBC concepts. One of the best book to learn JDBC is from the source itself i.e. Sun Microsystem. 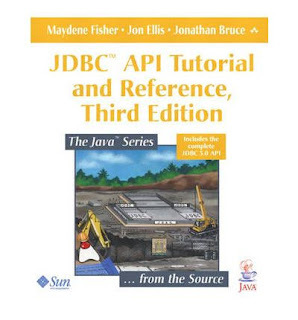 The JDBC API Tutorial and Reference by Maydene Fisher, Jon Ellis, and Jonathan Bruce is another fine book from Java series which teaches you everything about JDBC. It's one of the rare book which makes JDBC easy to learn even for new programmers. It provides lot of valuable background information and supplements the JDBC specification as well. Only problem with this book is that it's bit out-dated and only covers upto JDBC 2.0 specification, which is way behind the current JDBC 4.1 specification. This is a great book if you are using Oracle database in backend and want to master Oracle JDBC programming. It's also an older book but still one of the best for learning JDBC for Oracle database. It covers Oracle 10g which is still the most popular version of Oracle database. It's also a best book if you want to improver performance of your Java applicatoin connected to Oracle database. This is the best practices books aimed for experienced Java programmers who knows JDBC. I have to say that from my practical experienced that JDBC is one area where you can improver preformance tremendously by following the best practices. Many Java developer doesn't even know about primary best practices like using PreparedStatment over Statment, but this book will teach you several other essential best practices for writing JDBC code. That's all about some good books to learn JDBC. This list contains a variety of JDBC books e.g. books which covers fundamentals, books which covers best practices and books which are expert book for a particular database e.g. Oracle. You can chose the book you need.